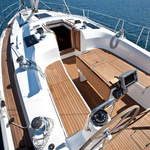 In 2008 has been manufactured sailboat Bavaria 40 Cruiser called Alba Magica. 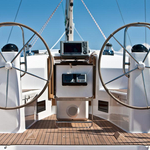 This vessel is based in marina Lefkada in region close to Ionian Sea in Greece. 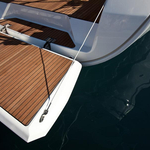 You can board up to 7 passengers on the boat Alba Magica. 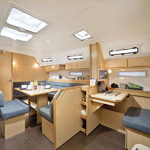 Scheme of berths is 7. 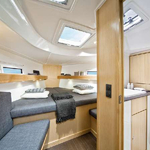 There are 3 cabins situated below sailboat's deck. Alba Magica is equipped with 2 toilettes. 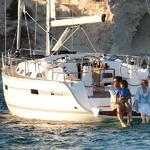 Look for more boats by clicking on this link: Yacht charter Ionian Sea. 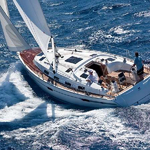 Tank for fuel is 210.00 l l. capacious , water tank has up to 360.00 l l. In this sailboat is applied motor Volvo 40 hp. 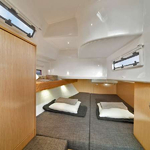 With 12.35 m of lenght overall and 3.99 m of width Alba Magica provides enough space for comfortable sailing. 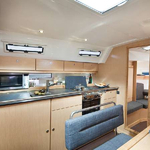 Bavaria 40 Cruiser Alba Magica is equipped with: Autopilot, Gps, Bed linen, Bed linen & towels, Bimini top, Dinghy, Furling mainsail. . Security caution accounts for 2000.00 EUR. 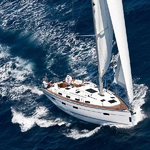 You can find other yachts by clicking on this link: Yacht charter Lefkada.